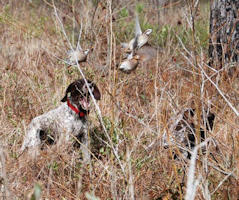 The Dogwood offers traditional quail and pheasant hunting, fishing, trap shooting along with a host of other wing shooting.Located on Gainey Road between Cairo and Tallahassee, FL in the heart of plantation country. Learn all about the heritage of our history-rich community in the center of downtown Cairo. 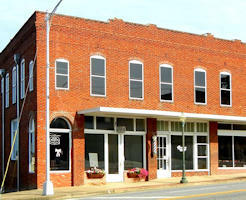 There are photographs, collectibles, antiques and other memorabilia that will take you through Grady County's journey. The museum also features an art gallery and work from local artists as well as a working "G" scale train model and railroad artifacts. This 140-acre nature preserve is home to the greatest expanse of trout lilies known to exist and is open for hiking all year. Blooming season is typically in late February. 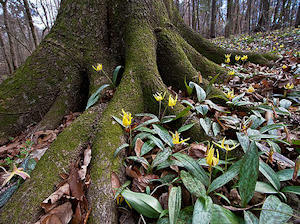 The trout lily is a rare flower, but an estimated 30-50 million can be found on the property, along with rare spotted trilliums, bloodroot, green fly orchids, violets and magnificent oaks. 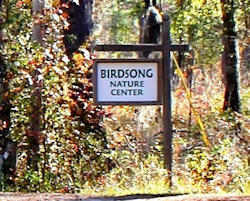 The Birdsong Nature Center was founded as a non-profit nature preserve and education in 1986. The 565 acres have 12 miles of meandering nature trails well suited for casual, peaceful hiking. The variety of woodlands, wetlands, and old-field habitats support many indigenous wildlife and offers an ideal setting for observing the quiet beauty found in many remote areas of southwest Georgia. Many events are held throughout the months. The library building, almost 19,000 square foot in total area, contains one of the best children's libraries in the area, a "story garden," and a local history and genealogy room. Our expansive collection gives the Roddenberry Memorial Library the reputation of having the largest number of books per capita than any library in Georgia! 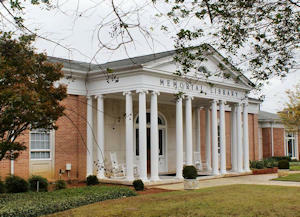 This outstanding library has won the John Cotton Dana award for public relations twice since its founding in 1939. 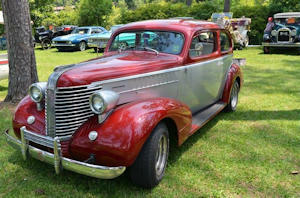 This antique auto museum attracts visitors from around the country and is the hub of events for the antique car rally held annually in Cairo every year.